There are multiple causes that lead to a broken tooth. 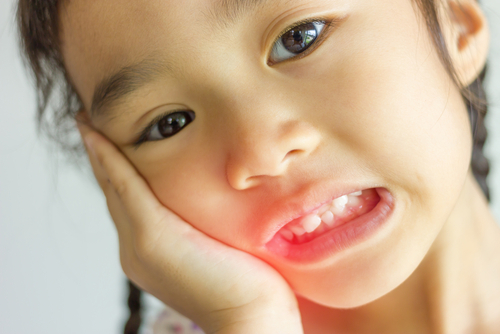 The majority occur as a result of traumatic accidents—a blow to the mouth, biting on a hard object, or a trip and fall. In some instances, teeth are damaged due to wear and tear or poor oral health. 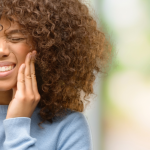 No matter the degree of injury a tooth sustains, one thing is certain: it’s not wise to ignore a damaged tooth. Whether the damage is mostly cosmetic or inhibits tooth function, it’s important to pursue effective broken tooth repair. At Penn Dental Medicine, we routinely provide broken tooth repair. Repairing a tooth is important to maintaining the health and integrity of the mouth and jaw. If a broken tooth is not treated, it may lead to additional dental problems and painful symptoms. If a tooth is chipped (as opposed to a full crack), the damage may be largely cosmetic. In only minor chipped teeth, a contouring procedure will likely be recommended. This process involves shaving and polishing unevenness or sharpness in the tooth caused by the chip. A larger chip or small crack may be repaired with composite bonding. This method involves applying and molding putty to the tooth. Ultraviolet light is then cast over the area to harden the composite on the tooth. This process results in closing the crack by bonding the tooth. A crack of moderate severity may create an opening in the tooth. If this is the case, the dentist will need to fill in the void and repair the tooth. This may involve installing a filling or a crown. 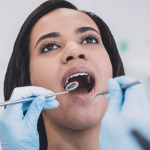 If a filling is prescribed, silver amalgam or plastic will likely be used to close the hole, much like in a cavity operation. A crown will be custom-made from a mold made to fit the impressions of the tooth. Once complete, the crown is permanently attached to the tooth structure to save the tooth and enable full tooth function. A severely damaged tooth that has experienced a large crack and extends to the gum line often exposes nerves and/or pulp. In this scenario, more intensive treatment is required. This usually involves either a root canal or a tooth extraction. A root canal involves disinfecting the damaged tooth from within, then (usually) installing a crown. An extraction involves removing the tooth and replacing it with a dental implant. Implants are permanently fused to the jawbone and look and function exactly like a normal, natural tooth. 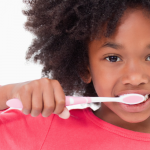 Following proper daily oral hygiene practices (brushing twice a day and interdental cleaning at least once per day). 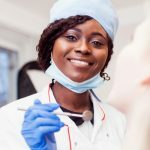 Maintaining the recommended six-month checkups or otherwise specified recommendation of your dentist to ensure optimal oral health. Wearing a mouthguard to protect teeth during sporting activities. Avoiding chewing on ice, hard candy, or other hard objects. If you’re concerned that you may have a chipped, cracked, or broken tooth, we recommend that you seek treatment as soon as possible. The student dentists at Penn Dental Medicine practice the most advanced approaches in dental care, utilizing state-of-the-art technology. Our priority is to ensure safety, comfort, and comprehensive care. To learn more about broken tooth repair procedures or to learn how you can save $25 on your first PDM visit, click here. To schedule an appointment contact us anytime at 215-898-8965.